FOR UPDATES ON LATEST MRT ANNOUNCEMENT REGARDING OPERATIONS DURING HOLIDAYS CHECK OUT "UPDATES IN THE METRO" SECTION ON THE SIDEBAR. The Manila Metro Rail Transit (or better known as MRT or Blue Line) has been the main mode of transportation of commuters traveling along Epifanio Delos Santos Avenue (EDSA) in Metro Manila, gaining tremendous popularity since its opening a decade ago. Latest statistics show that there are 10-12 million passengers every month, with around 400,000-500,000 on a daily average. 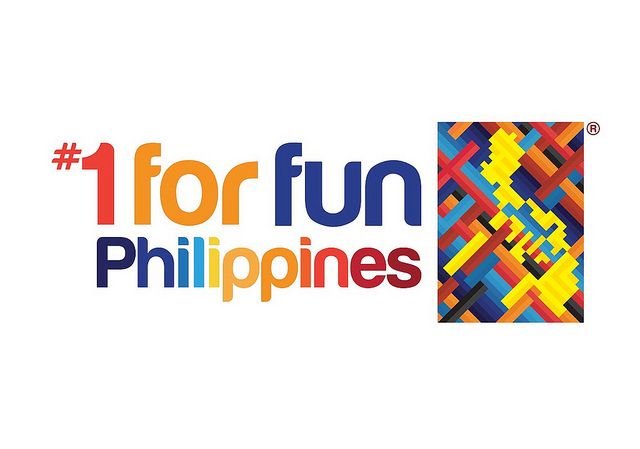 Fare ranges from 10 pesos to 15 pesos depending on how far you are from your destination. A trip from Taft Avenue to Quezon Avenue (and also North Avenue) would cost 15 pesos, while a trip to Ayala would only be 10 pesos. To be sure, it is advisable to just bring 30 pesos if you are traveling back and forth through the MRT. There are two types of magnetic card tickets: Single Journey and Stored Value. The former is only for one-time use only while the latter holds a P100 value that can last for a workweek for short distance commuters. Weekdays - The MRT service starts at 5am and ends at 11pm. From 5am to 11pm, the MRT has trains arriving within 3 to 5 minute intervals. Weekends - The MRT service starts at 5am to 11pm only. The MRT is also known to be a "roller-coaster" type of rail transit due to the leveling of its platforms/stations. Most of the stations are elevated but two stations are underground (Ayala and Buendia), while another two are at-level to EDSA (Taft Avenue and EDSA). The stations have relatively the same setup which makes it easier for commuters to remember the steps in order to ride the MRT. There's the entrance to the station (where inspection happens), ticket booths, the entrance to the platform, and the platform itself. Once you have bought a ticket, next step is to proceed to the platform (there's a grace period of 75 minutes when you have entered the platform). The train coach for women is separate from men to prevent harassment. 1. North Avenue (Quezon City) - SM North and Ayala Trinoma. QC Circle is also nearby. 2. Quezon Avenue (Quezon City) - ABS-CBN Network Station and the closest link to University of the Philippines. QC Circle is also nearby. 3. GMA-Kamuning (Quezon City) - GMA Network Station and Timog Avenue is already accessible. 4. Araneta Center-Cubao (Quezon City) - Araneta Coliseum, SM Cubao, Ali-Mall, various provincial bus stations, Aurora Boulevard, Gateway Mall, New Farmer's Plaza, and the closest link to Ateneo de Manila University. There are also jeepneys here that go to Pasig and passes by Eastwood. This also serves as the link of MRT to the LRT 2 Line (also known as the Purple Line) that starts from Santolan Station in Marikina to Recto Avenue in Manila. 7. Shaw Boulevard (Mandaluyong City) - Shangri-La Plaza, EDSA Central, StarMall, EDSA Shangri-La Hotel, and also SM Megamall. 9. Guadalupe (Makati City) - San Carlos Seminary, Guadalupe Shopping Center. This is also the nearest link to Rockwell Center, Power Plant Mall, and even the Makati City Hall (there are jeepneys that pass by Guadalupe, Rockwell, and J.P. Rizal where the City Hall is). This also links the MRT to the Pasig Ferry Line through the Guadalupe Ferry Station. 10. Buendia (Makati City) - Nearest link to the Makati Central Business District (Makati CBD). From this station, one can also ride a bus to the MMDA Main Headquarters in Orense (though the building is between Buendia and Guadalupe stations, it is still practical to go down at Buendia and take a bus that is northbound). 11. Ayala (Makati City) - Ayala Center, Glorietta, SM Makati, Greenbelt, Landmark, nearest link also the Makati CBD. This is also the nearest link to Fort Bonifacio and McKinley Hill through the Mckinley Road. 13. Taft Avenue (Pasay City) - Metropoint Mall, Macapagal Avenue, Baclaran, Pasay Rotonda. Nearest link to the SM Mall of Asia, universities found in U-Belt and Taft (such as De La Salle University), and Ninoy Aquino International Airport (NAIA). This also serves as the link of MRT to the LRT 1 Line (also known as the Yellow Line) that starts from Baclaran Station in Pasay to Monumento in Caloocan. Recently, the LRT1 Yellow Line was extended to link to the MRT. Three more stations were added to the LRT 1 Yellow Line to "connect" the Monumento Station to MRT's North Avenue. These stations are: Balintawak, Roosevelt, and SM North. Follow the MRT Route around Metro Manila and see the nearest attractions through our interactive map. When riding in the MRT, one should take note that some things may not be brought inside the platform for security reasons, such as: inflated balloons, large luggages, any open bottles or cans, quantity of fluids such as chemicals, pesticides, and gasolines. Wrapped items such as gifts are permissible, however, the security guards will advise the passenger to open the gift for inspection. It is, of course, already understood that one cannot ride the MRT drunk, under influence of restricted drugs, or insane as these may cause some harm to the innocent passengers. Also, be careful with your belongings, particularly valuables such as wallets and jewelry, as this is a public transportation. During rush hour, the volume of passengers double or triple; this happens between 6 to 9 in the morning and 5 to 8 in the evening. It is advisable, that if time still permits, to be earlier or postpone the trip until after the rush hour. Women also have their own separate train coach to prevent harassment from occurring due to some reported cases and also, injuries due to physical contact during rush hour. Also, do not step beyond the yellow lane on the platforms. Besides hearing an eardrum-breaking whistle from the platform guards, it is also very risky when you fall on the tracks! For other information, one can visit the Manila Metro Rail Transit website. pasay to monumento MRT has been operated?when? Please re-read, it's Pasay to Monumento LRT, not MRT. But it would happen soon, Taft to Monumento MRT will soon be functional by 2011. Is the fare still around 10-15 pesos?? Is this schedule still valid April 2011? Weekdays - The MRT service starts at 5am and ends at 1am. From 5am to 11pm, the MRT has trains arriving within 3 to 5 minute intervals. After 11pm, trains would arrive every 30 minutes. Last train from North Avenue station would leave at 12:01am while last train from Taft would be at 12:30am. Weekends - The MRT service starts at 5am to 10:30pm only. It is assumed that the last trains would leave at around 10pm. paano po magcommute papunta sa mrt(quezon ave. station) galing UST? walang ginagawa ang mga police. sa loob at labas ng mrt may mandurukot..
in less thean a month twice ako nadukutan..kahit may pagiingat ako..
kindly email me at ticketsnmoretravel@yahoo.com. May I ask how much to lease a space in MRT station? how much yung fare if from ortigas to ayala? is there a route from North Edsa to Monumento? Hi. I would like to know the office telephone number of MRT? Need to talk to their Business Development Department for my marcketing activities. Hello,want to know the current mrt/lrt fares. Can you please email me the fares. For this week only, ilang office mate ko ang nabiktima ng dukutan sa loob ng mrt. Yung isa ko p ofc mate, nakita n'ya kung pano dinudukutan ang katabi niya. Hindi kaya panahon na para mahuli ang mga mandurukot sa loob ng mrt. Wala bang CCTV camera ang mrt para madaling madampot ang mga hayop na yun. Di nila alam kung anong pagod ng mga tao para lang magka-pera at gamit tapos sila ay kukunin lang sayo ang mga pinagpaguran mo. DAPAT NA SIGURONG MAY GAWING HAKBANG ANG PAMUNUAN NG MRT PARA MAHULI ANG MGA MANDURUKOT NA YON. SANA GAWAN NYO NG PARAAN. How many minutes from MRT Taft Ave station to North Ave (Quezon City)? Thanks. i just want ask kung san station may elevator kse may kasama akong disabled going to alabang kmi from that station sakay kmi bus... help us pls. why can't we ride straight from ayala to monumenta without disembarking at north avenue. why are these two lines not connected physically. Hi,i'm a senior citizen who takes mrt regularly going to taft. i've observed lately na sobra ang haba ng pila to get inside the cubao stn specially during the morning rush hour. siguro ho dahil nakasarado ang 1 entrance going to the platform. sana ho ma inspeksyon itong situation na ito at magawan ng solution for the riders convenience. Hi, i just wanna let you observed ung mga employees nio especially ung mga nsa teller ng MRT TAFT AVENUE STATION, npaka BASTOS nila sa tao, ndi mrunong mkipag usap ng maayos, may training ba cla kung pno cla mkikiharap sa tao? wla clang CUSTOMER SERVICE attitude, ndi kmi basta bumibili tpos sasakay ng mrt, Sana gandahan nyo serbisyo nio. Parang wlang kaayos-ayos sa station, nkakahiya, aayusin nyo lang ba yan pag may darating na inspector? Salamat, sna sa susunod na bumili ako ng ticket, nka smile at maayos na..
Hi Ma'am, di po kami connected sa MRT/LRT but we'll let them know about this. Doesn't the MRT blue line go all the way to Monumento? thank you so much sana aksyonan nyo agad ito. Hi I'm always riding MRT , I observed for so long a time specially at edsa-taft station ,crowds of people are queuing at left and right lane to purchase train ticket, cannot the managemnt do something with this perennial problem that the riders are experiencing everyday ? like widening /expansion of the lanes or make use of the vending machine(just standing by at the corner which we supposed is a wasteful if the government will not have it utilize for the betterment of public services ) to purchase round one way ticket ... another observation is that the couch is always jam packed with crowds , maybe the management can also make a study or trial by segregation , not all couches stops at all stations to avoid over jam packed , just like what MMDA did with bus segregation at edsa . Kasi po, sa tingin ko sa sobrang na sa unahan yung para sa kaso ng buntis o matatanda na coach ng tren, nahihirapan pa silang maglakad pa ng pagkalayu-layo, where as itong able person ay malakas pa at kayang tumakbo paunahan duuuunnnn..
tsaka yung mga SIGNAGE nyo, ang liliit, nababalewala kasi di makita at mabasa, minsan hindi na sa strategic locations, lalo na dyan sa Pasay Taft Station. tama yung mga suggestions about sa segregation for senior, mga may bata, disabled at buntis! bakit nyo tinanggal yung privilege namin??? kme tuloy ang nawawalan ng pwesto, nahhirapan, nakatayo buong byahe. yung mga nakaupon yung mga dalaga, lalake or kabataan na malalakas pa at kaya namang tumayo..saka pwede pakilapitan yung place para sa amin kung magsegregate kayo kasi sa sobrang layo ng unahan ang dami ng nauuna sa amin nakikisiksik pa kme pra lang makarating sa may unahan..at pleasseeeeeeeee sana naman yung mga elevators/escalators nyo paganahin nyo by the time na magbukas kayo ang hirap umakyat at bumaba lalo sa mga buntis na kagaya ko..at pakibilisan ang dating ng tren nale-late kami dahil sa haba ng interval nyo! Putsa dpat kumilos tang ina mga pulis jan s pasay edsa in front of heritage hotel s ilalim ng tulay...nglipana mga mgnanakaw nilaslas ang bag ko. Putang ina mga magnnakaw s pasay edsa s ilalim ng tulay s harap ng heritage hotel....mg iingat kayo jan nilaslas kgabi ang bag ko.....mamatay n mgnankaw jan....mga police gumawa kayo ng hakbang regarding mandurukot at slasher ng bag....mglagay kau mg cctv cam. Mamatay n yun mgnanakaw n mgkkabsabwat jan s ilalim ng tulay s harap ng heritage hotel....mgkakanser kayo a bituka lalo n yun mtandang bbae jan n nkaheels ...yun kinakain nyo galing s nakaw lhat kyo mgkkasabwat s pagnanakaw mmatay n at mgkakanser s bituka! Option 1: From UST, take tricycle or jeepney and tell that you will drop in LRT 1 - Doroteo Jose Station. Take LRT 1 - Doroteo Jose Station and drop in LRT 1 - EDSA Station. From there, walk to MRT 3 - Taft Avenue Station via connecting footbridge. Take MRT 3 - Taft Avenue Station and drop in MRT 3 - North Avenue. Option 2: From UST, ride a tricycle or jeepney and tell that you will drop in LRT 2 - Recto Station. Take LRT 2 - Recto Station and drop in LRT 2 - Araneta Center-Cubao Station. From there, walk to MRT 3 - Araneta Center-Cubao Station via several malls that you will walk. Take MRT 3 - Araneta Center-Cubao Station and drop in MRT 3 - North Avenue Station. May we request the MRT Management to please include the commuters who are 50 yrs old and above to the Seniors citizens lane.Tutal po kakaunti lamang ang pila ng mga Seniors citizen at kami pong 50 yrs old ay hirap na ring tumayo at pumila sa lane ng mga below 50's.Or pwede po bang dagdagan ang space for Ladies.Compare sa mga Boys kami po ay marami pang gawain sa bahay na nghihintay.So kailangan po naming makauwi agad.thanks.. I really valued the relatability of the piece-- how we're drawn to the same types of people over our lifetime, but how we can never piece together all we want into one being. PLEASE HAVE A TRIP USING MRT ....so you can feel what we`d experienced. huhuhuhuhhu adjusted na kami for 1 hour pila tym...still another prob coming in....usad pagong......cutting trip... weeeee. Its really fun when , kelan kaya ma improve???? Nakakaubos ng pasensya minsan ang sumakay ng MRT....Grabe kanina, nagulantang na naman mga mamayang pasahero nito nang biglang pababain sa ORTIGAS station ang mga tao at sabihan na hangang doon nalang ang byahe namin at sa SHAW Station na raw mag reresume ang byahe papuntang TAFT! Kaya lahat ng tao NGANGA kanina kung anong nangyari at bakit bigla biglang pinababa ang lahat! WALA LANG nag titrip lang ba kayo para surpresahin ang mga inosenteng pasahero? Wala nga kaming choice kundi lunikin nalang ang mga nangyayaring di kanais nais na sistema meron kayo! GRABE KAYO! Nakaka BAD TRIP kayo! Huwag nyong ikatwiran na MURA ang pamasahe nyo! Wala kayong pinag iba sa mga isdang tinitinda sa sidewalk na makamura lang ng benta eh BILASA naman pala ang kalidad! HOY GISING! I have found no listing of Metro Manila Jeepney routes. Surely there MUST be a list of all of the official, regular Jeepney routes in MM so one knows which Jeepney to take ... Surely there is a map of all of the jeepney routes in the National Capital Region ? I observed that not all mrt stations are the same. Supposedly, doors 1 and 2 are for seniors, pwds and adults with children. But in Cubao station for example, they put the sign between doors 1 and 2 so there's a tendency for the "normal and healthy" people to fall in line door 2 and that leaves the poor seniors and pwds no available seats. There are also cases when people from the other line would rush to door 2 when they see it's not full. Wonder where the guards are???? To think that the young generation are so insensitive and would pretend to close their eyes so they will remain seated. Can't believe these people. I guess the best thing to do is just remove the sign since nobody follows the rules. So disappointing. P20 from Boni going to North avenue tapos ambagal bagal dumating ng train.. wow ha my pagbbago ngang nangyare.. 10-15 mins bago dumating ung train.. hindi porket gabe na onti na lng ung pagaganahin nyo.. maging concern nman kau sa mga commuter nyo..
We need convenience!, that's all! Thanks..
1st i would like to thank you for this opportunity to be able to share and suggest that if possible to allow us pet lovers can have our harmless loving pets a ride with us in LRT's specially if they are tamed and have a safe carry bags or carrier with us that will not harm or disturb others. This way, we are giving out pets a fare treatment to experience a comfortable transportation just like us as we are all created and have rights to be treated well regardless what we are. That's all for now and hoping for your kind consideration. gereken iyi bir web sitesidir. How much po ba ang pamasahe sa bus na thelman transit ordinary.. from ayala to alabang..?? Nakakainis pa yung kondoktor nag mamadali siya maningil na akala mo may humahabol sakanya..!! Tapos kung alabang metropolis ang nakalagay dapat hindi n sila dadaan pa ng south station.. kung dadaan man sila sa south station sana nag lagay sila ng sign board na alabang south station...!! Napalayo pa tuloy ako sa bababaan ko..!! Napamahal na napalayo pa! HOW TO GET TO STARMALL EDSA SHAW FROM ALABANG TOWN CENTER???? New Year is the time at which a new calendar year begins and the calendar’s year count increments by one. new year wallpaper background Many cultures celebrate the event in some manner. This new year comes with lots of delights when sweet pune escorts accompany for a time. Want to know about Exam Reasults 2016. Get CBSE 10th Result 2016,PSEB 12th Result 2016,PSEB Result 2016,Board Exam Result 2016. Visit my blog. How do French people celebrate Easter? awesome post.. keep on updating..
this blog is really helpful. i found very interesting things here. i am going to read this blog daily and will refer it to some of my friends are blogger. This Sunday (downstairs in Jerusalem Room) at 9:30 AM we gather together for a presentation / discussion based on Christian themes found in the C.S. Daily Trending Guide Lewis classic, "The Lion, the Witch, and the Wardrobe." This gathering will continue through November 24. Anyone from high school students to senior citizens are welcome to attend. Join us and be enriched in faith. Children are born with an innate curiosity, especially when it comes to nature.Old School New Body review That’s why short walks turn into hours-long science expeditions that include everything from anthill investigations to bird watching to flower collecting. Steve & Becky Old School New Body review (leaf pressings are art, fossils are history, the shape of nautilus shells are math), what easier way to begin your unschooling adventures than outside? This looks like here the lots oF useful information is getting provided. So that why I am publishing a these collection of love whatsapp status in Hindi. we know that common people are interested to watch kerala lottery result live , so we provide kerala lottery result as early as possible live or online .